The self-storage industry has been one of the fastest growing industries in the last few years. The continued projected growth for the industry significantly increases the need for a powerful construction management software that can automate and streamline construction processes, facilitate collaboration, and reduce costs. Even more importantly, this software should have mobility and portability because project leaders could find themselves in the office, traveling, or at the construction site at any given time. Projectmates provides all of these features for clients through our 100% web-based software and dynamic native mobile app. There are several specific benefits that our mobile application provides that are critical to the success of construction projects. For self-storage companies one of the most important parts of the construction process is the design and planning phase. Designing self-storage facilities that will meet the needs of consumer is important and is something that is addressed at the very beginning of the construction process. Through our Document Management module, clients are able to upload documents, files, and photos from your smart phone or tablet devices which is extremely useful to allow teams to effectively design self-storage facilities. The ability to markup and annotate files allows teams to collaborate efficiently and perfect the design of facilities. The annotation tool allows users to circle, highlight, comment, attach images, and even embed text to a PDF. Projectmates also allows for this text to be searchable so that everyone on the project can find exactly what they are looking for within the software. While other construction project management software programs become cluttered with different versions of the same file, Projectmates keeps everything within a project organized through version control. Users can easily upload files as a new version, but the old version is still available if needed. Through the annotations feature, project team members can easily communicate and collaborate during the design phase while having the file in front of them, which allows them to perfect the design and set up the rest of the project for success. In order to finish tasks faster, it is imperative for project teams to be extremely organized and efficient in the way they work. The Push Notifications feature from the Projectmates mobile app allows users to be completely aware of all tasks and responsibilities no matter where they may be at any given time. Instead of frequently checking emails or asking co-workers if something has been updated or added, push notifications can alert you at the exact moment when you need to take action. The notifications are highly customizable, and you are able to be alerted of updates to priority projects or from specific users. The notification also takes you directly to the proper screen so that you get immediate access and are able to take action instantly. This allows everyone on a team to be on the same page and makes sure that everyone is accountable for the tasks that they need to complete. Increased accountability and organization can have a drastic impact on efficiency and allow teams to finish projects on time and under budget. Effective communication within project teams is often one of the most difficult aspects to attain on a construction project team. There are so many different people involved in one project and so many different types of tasks to complete that communication within a team could be the determining factor between success and failure. Projectmates Mobile has made communicating between team members even simpler than before through the discussion forums feature. This module eliminates the hassle of constantly exchanging emails in order to have a discussion. Using the discussion forums encourages team members to easily communicate through their smartphones and tablets, allowing them to make quicker decisions and drastically reducing the amount of wasted time. This feature makes it extremely easy to select who is involved in a discussion as well as add someone later in the discussion. Through Projectmates' team directory module, you can easily bring up the contact information for other users in a project, and from there be able to quickly text, call, or email them. Projectmates provides easy-to-use communication tools so that everyone is on the same page and can work together to make projects successful. 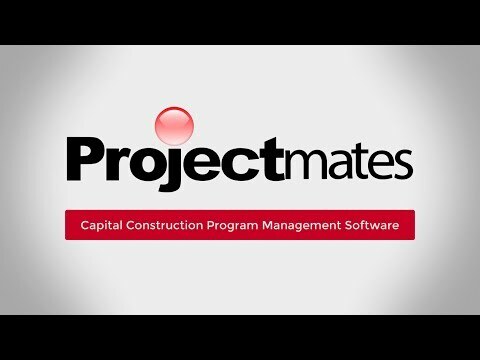 Projectmates 100% web based project management software for construction and mobile construction app are designed to give organizations full access to all project information regardless of where they may be at any given moment. Although construction projects have a high level of complexity, Projectmates easy to use features can drastically simplify the management of these projects and allow our clients to be as successful as possible. As more self-storage facilities get constructed, there are many different ways that Projectmates can drastically improve the construction process from start to finish. The capital construction industry is changing, and there is a growing need to be able to manage projects at all times whether you are at the office, traveling, or at the construction site.